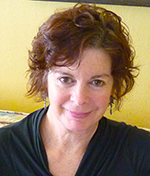 Dianne took over as Program Director and Nurse Practitioner in 2018. She is the case manager of all of our comprehensive care patients and brings many years of experience in pain control, symptom management, education, counseling, and support to patients and families facing any stage of life-threatening illness. Prior to this, Dianne had served as a Family Nurse Practitioner for more than 18 years, most recently at Blue Ridge Hospice in Virginia. 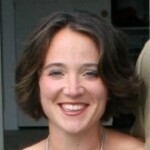 She knows the island well having worked with Dr. Tim Lepore, MD for 5 years in the early 2000s. 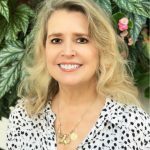 Dianne holds a Bachelor of Science in Nursing Degree from Emory University, a Master of Science in Family Nursing Degree from Mississippi University for Women, and certification from American Nurses Credentialing Center and the Hospice & Palliative Credentialing Center. Charlene served as our Program Director and Nurse Practitioner since developing the comprehensive care program in 1988, first as a hospice program, and, many years later, expanding it to a palliative and supportive care program. Prior to that time, she’d had experience as a Head Nurse at Massachusetts General Hospital for 5 years, Head Nurse at Nantucket Cottage Hospital for 6 years, then Nurse Practitioner for Nantucket’s Community Health Department for 2 years. Charlene holds a Bachelor of Science in Nursing Degree from University of the State of New York, an Associate’s Degree from Northeastern University, and certification from Harvard University-Massachusetts General Hospital Adult Nurse Practitioner Program. 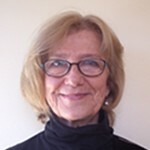 Bonnie has been a psychotherapist in private practice for over 25 years and has been the Palliative Care Counselor for PASCON since April, 2014. Bonnie brings her knowledge, skills, and compassion to any patient she serves and is available to all of our patients, whether affected by illness themselves, caregivers of someone who is ill, or bereaved family members. 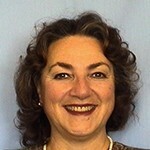 Bonnie recently earned her PhD in Psychology at Saybrook University. 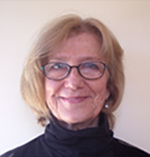 Her orientation focuses on the existential/humanistic issues of life and she is particularly interested in the developmental aspects of aging and illness, and how to maintain psychological, physical and emotional well-being. Ginnie has been the Program Assistant and Volunteer Coordinator of PASCON since 2002, after several years of serving as a hospice volunteer. Ginnie is usually the contact person when someone calls our office, and immediately puts people at ease by her warm and caring attitude and her commitment to helping them get the information or assistance they require. She also coordinates our patient care volunteers and assists clients who need to travel off-island in utilizing the Marla Ceely Lamb Cancer Transportation Fund. 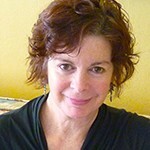 Prior to working for PASCON, Ginnie served as the director of the Learning and Resource Center for the Nantucket Public Schools for many years. Dr. Lepore is the Medical Director and Chief of Surgery at Nantucket Cottage Hospital, and has volunteered his time to serve as the Medical Director of PASCON’s Interdisciplinary Team since the inception of the program as hospice in 1988. As our Medical Director, he has made himself available to oversee our program and serve as a resource for our program, staff, and patients. Though patients receive their medical care through their own private physicians, Dr. Lepore is available whenever consultations or back up are needed. Dr. Lepore has practiced on Nantucket since 1983 and has been well known as the island’s surgeon, medical examiner, school physician, Lyme Disease expert, and, most recently, the subject of the 2012 book, Island Practice by Pam Bulluck. He is a graduate of Harvard College and Tufts University School of Medicine, and is a board certified general surgeon and member of the American College of Surgeons. Prior to moving to Nantucket, he was an Assistant Professor of Surgery at Brown University Medical School, as well as the Director of Emergency Services and Surgical Director of the Intensive Care Unit at Roger Williams Hospital. He has also served as an Adjunct Assistant Professor in the Department of Infectious Disease and Global Health, Cummings School of Veterinary Medicine at Tufts University. Rev. 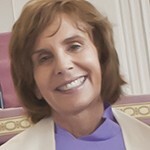 Linda Simmons is the minister of the Unitarian Universalist Meeting House on Nantucket and has served as the volunteer chaplain on PASCON’s Interdisciplinary Team since September of 2014. In her role as chaplain, Linda is available to all of our patients and families as a spiritual support and a compassionate listener. The role of chaplain does not take the place of a person’s clergyperson; it simply provides a non-denominational additional supportive presence to those who’d like one. 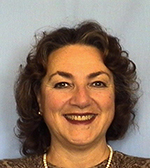 Prior to entering the ministry, Linda held a variety of positions in adult and secondary education, and was the senior manager for a program in New Hampshire for 12 years that worked with at risk youth. She attended The New Seminary in New York City and graduated from the University of New Hampshire with a B.A. in economics and a minor in philosophy. Linda graduated from Harvard Divinity School in May, 2013. 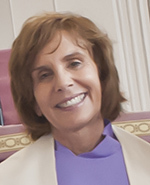 Her settled ministry at the Unitarian Universalist Meeting House on 11 Orange St began at the end of July, 2013.